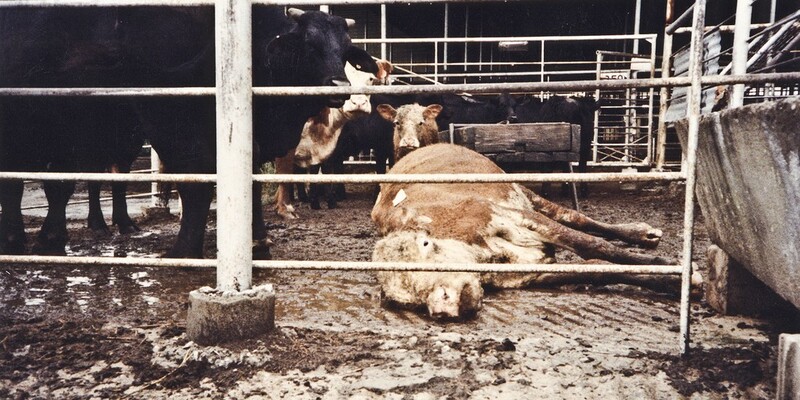 Soon, when you bite down into your Double Whopper with cheese, you’ll be able to feel comforted by the fact that the animals used to make it got to spend a few fleeting hours outside of the tiny, filthy cages that will still be used across the world to house the 10 billion other animals killed for human consumption each year. Hooray. Burger King recently vowed that all their pork and eggs will come from cage-free animals by 2017, in what is seen as a huge step toward answering a growing public cry for more humane meat. Let’s first look at what “cage-free” means exactly. What the consumers that Burger King are trying to cater to—those who have an ethical opposition to the mistreatment of animals used for food—should know is that “cage-free” hens aren’t cute, pristine white birds freely roaming in green meadows, pecking at seed and bugs until old, suspender-clad farmer Joe comes and cradles them to the butcher. There are more than 12,500 Burger King restaurants in the nation, each serving up cholesterol bombs every day. The amount of chickens needed to meet their demands is almost unfathomable, and no company, Burger King included, is going to foot the bill to have “egg producing machines” treated in a truly humane way. The truth is, the term “cage-free” simply means that hens avoid being stuffed into the standard battery cages that are currently used across the country (according to In Defense of Animals USA, between five and eight birds are crammed in cages only 14 square inches in size). Instead, huge amounts of chickens are let “free” in a cramped warehouse, usually also free of ventilation or any substantial cleaning; the ammonia from the massive amounts of waste that’s allowed to accumulate on the bare floors can cause breathing problems, burns and sores, and even blindness. “Typically, 2,000 to 20,000 or more hens—each hen having one square foot of living space the size of a sheet of paper—are confined in a shed with little or no access to the outdoors. If the hens can go outside, the exit is often very small, allowing only the closest hens to get out. And the ‘range’ may be nothing more than a mudyard saturated with manure,” according to United Poultry Concerns. Beyond their misleading cage-free status, these chickens are still treated as tools, bred to produce as many eggs as possible and routinely starved for up to three weeks in a process called “moulting” to keep egg production up. At the end of their year-long window of peak production, these chickens are discarded in the most cost effective manner, whether it be by being thrown in dumpsters by the hundreds to suffocate under one another, buried alive, sent to rendering plants to become animal feed, or sent to slaughter plants and used in school lunch programs and other government food programs. 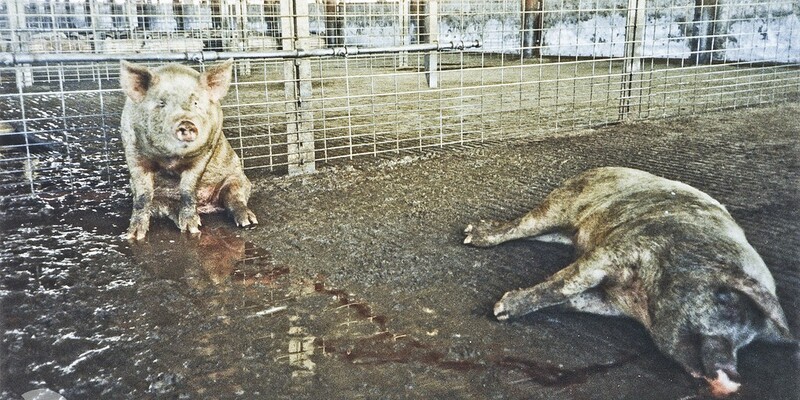 In regards to pork, what Burger King is promising is the phasing out of the use of gestation crates, widely regarded as one of the cruelest practices in factory farming. Dumping the use of these crates is great, and it’s hard for me to chastise a company for making steps in the right direction, but consideration here is only being made when it comes to the delicate and profit-sensitive process of birthing, these pigs are otherwise left to live in squalid, painful conditions for the rest of their short lives until it’s time for them to meet their end too. When it comes down to it, if we want to truly have clear consciences when it comes to the way we treat animals, nothing short of total liberation will do. It’s a tough concept to wrap your mind around, especially in our animal-dependent society, but I believe it to be the only way. It’s also important to keep in mind that Burger King is only making this pledge when it comes to its pork products and eggs. The chickens they use for meat, and the cows used to provide their dairy and to make their namesake staple are ignored (so disregard my opening statement about Whoppers, actually). Burger King doesn’t care about animals being treated humanely, they’re interested in making money. In a time where overall meat consumption is down 10 percent since 2004, according to the U.S. Department of Agriculture, they’re savvy enough to recognize the trend and try to capitalize on it. Luckily though, awareness of these issues is on the rise, and has even hit CSUSB. 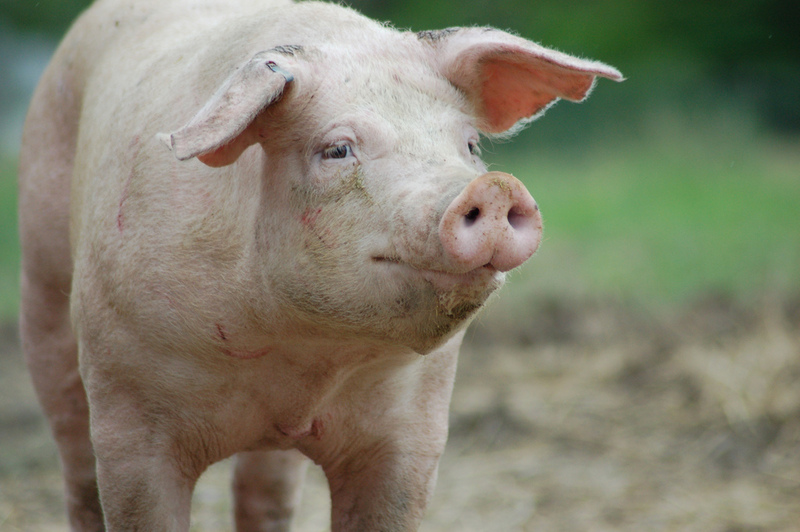 Farm Animal Rights Movement (FARM), a nonprofit organization that aims to end the use of animals for food, was on campus recently to bring the horrors of factory farming out of the shadows and in students’ faces. 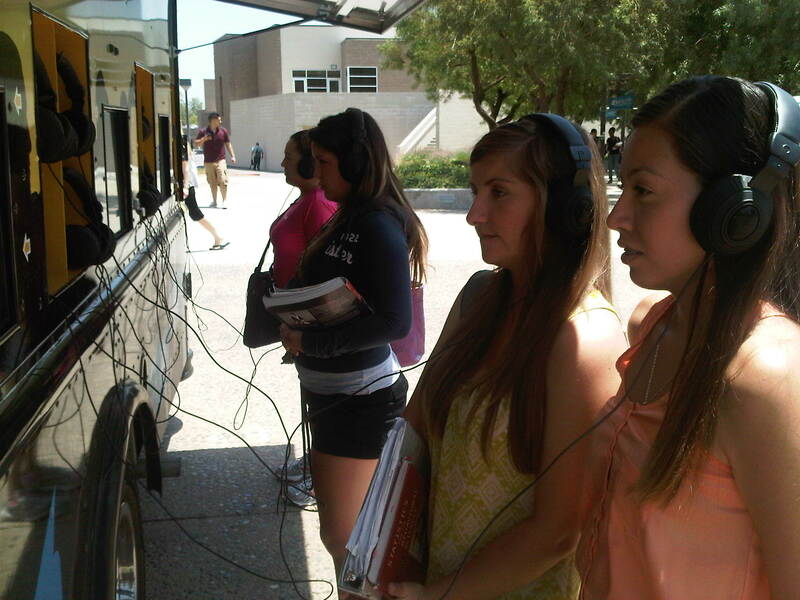 They pulled a trailer in front of the Pfau Library last week, and paid students $1 to watch a 4-minute video on the systematic abuse used in animal agriculture across the world, including battery cages and gestation crates. Some students said they’ve become more conscious about what they eat after the experience. “I think it’s perfect for people like me because we can see what we’re putting into our mouths,” said student Chris Villanueva. 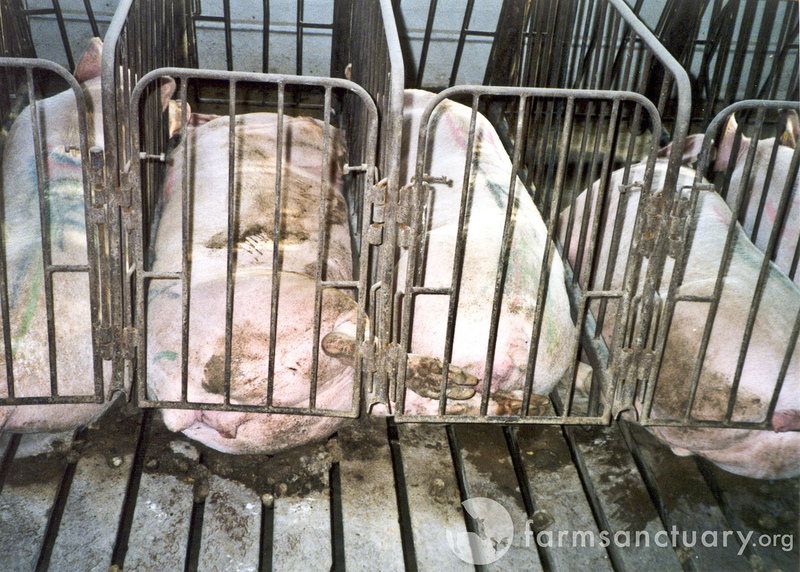 The general public is kept in the dark when it comes to factory farming practices. Some have an idea, but don’t want to “meet their meat,” so to speak. This is understandable. It’s a scary, grotesque subject, but we’re increasingly coming face-to-face with the effects of our dependence on animals; the top two leading causes of death—heart disease and cancer—have both been found to have a direct relation to consumption of animal protein, including eggs and dairy. The amount of pollution dumped into the environment due to animal agriculture is so staggering, and I could write a dissertation off just that. Well, someone could. We can’t be comfortable continuing to ignore these effects. Consumers shouldn’t be fooled by the “cage-free” hype, or any other supposed animal welfare label slapped onto eggs, beef or dairy. If you consider yourself a compassionate person who is able undertake the simple task of weighing the importance of giving your taste buds a whirl, versus the torture endured by an amount of living, deserving beings (in just one year) that outnumbers the population of the entire planet, then you’ll stop supporting animal agriculture all together. I’ve tried to avoid bringing up the “v-word,” as I know from personal experience that its mere mention is enough to make some people shut down to conversation right out of the gate, but YOLO, am I right?